Man oh man. 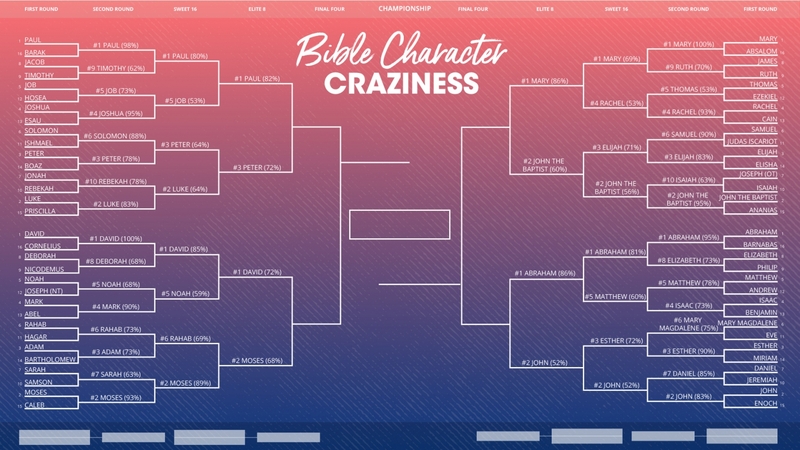 Seems like just yesterday we were overwhelmed at the field of 64 Bible characters and wondering how anyone would defeat powerhouse Miriam to win the championship. Well now today we've got 8 people remaining who can smell victory. What even happened yesterday?? Voters pressed Play on Job's suffering and chose Paul to advance. Paul beat him with 82% of the vote. On his way out, Job was heard saying, "I know my redeemer lives, and that in the end he will stand on earth." So it seems he's able to keep his head up from all of this. 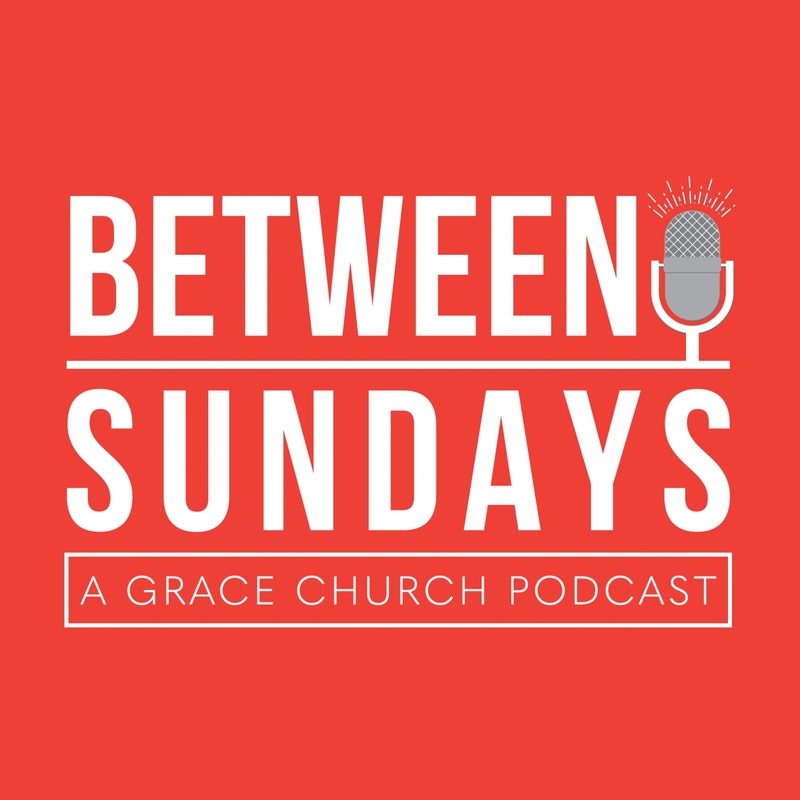 #3 Peter defeated #2 Luke - I guess people would rather see a guy who uses violence to solve problems than the guy who literally wrote about the origins of the church. FINE! BUST MY BRACKET, WHY DON'T YA! No flood could have saved Noah from the onslaught of David. David earned 72% of the vote, proving once again, that he's no underdog - no matter what Goliath says. This is the second day in a row where my champion pick, John, has won by less than 5 votes. He defeated Esther in a nailbiter. I'm beginning to worry that the voters don't see what I see in the one whom Jesus loved. Thisssss is where we can see glory. These matchups are tasty! Are you willing to rob Peter to pay Paul? I never understood what that means. But I think we're about to find out! David vs. Moses are you kidding me!!?? This is must-see. You need to tell your friends about this one. Mary is going head to head against her nephew JTB (John the Baptist). The voice calling out in the wilderness who baptized Jesus is going up against the mother of the Messiah. Holy locusts. I smell an upset in the Southeast bracket. Abraham vs. John. Can John pull a rabbit out of his hat one more time? He's won every matchup by some of the slimmest of margins! I want to remind you that Abraham almost murdered his son. Don't forget that when you take your votes to the polls today.